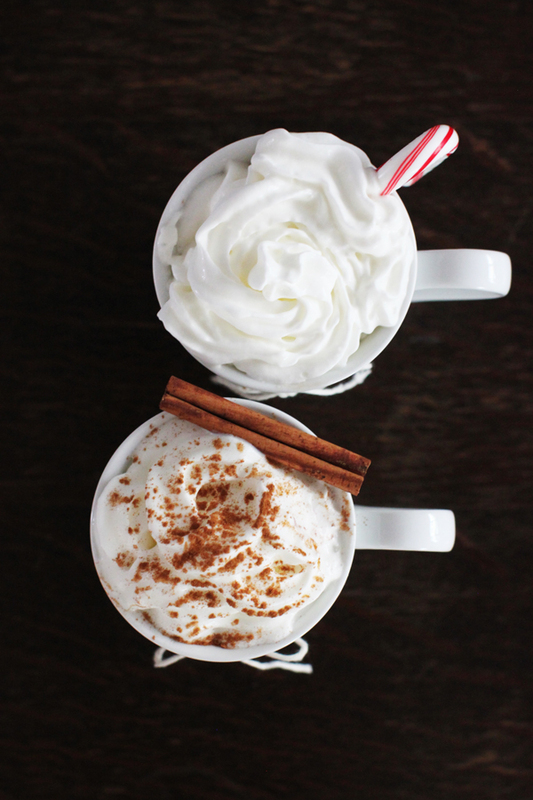 ’Tis the season for hot cocoa! 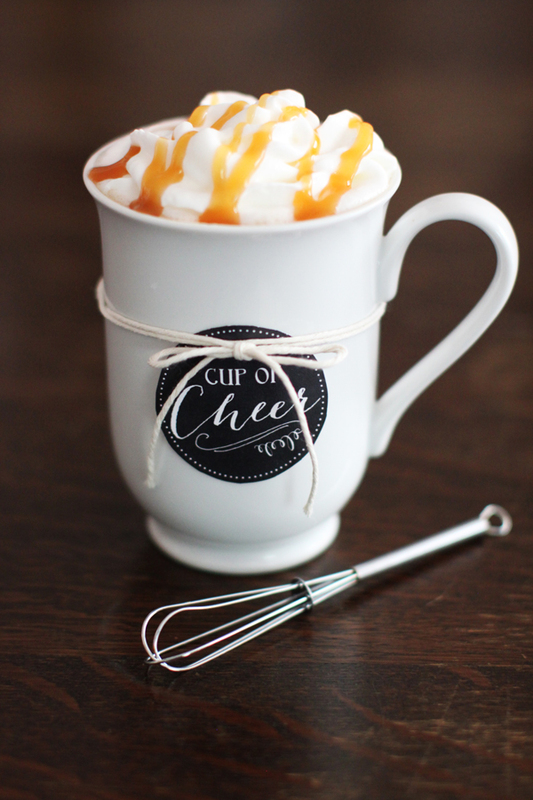 I love whipping up this drink every winter. It’s warm, comforting and open to all sorts of interpretations. 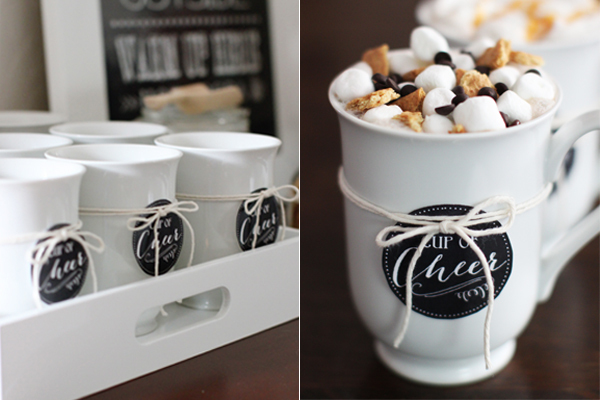 For our second annual Christmas Eve party with our families, I decided to stir things up by putting this drink on full display with a hot cocoa bar. The premise? Guests can customize their cocoa with a variety of toppings—ranging from traditional (caramel sauce, whipped cream) to unexpected (peanut butter, graham crackers)—to create the perfect cup of cheer. 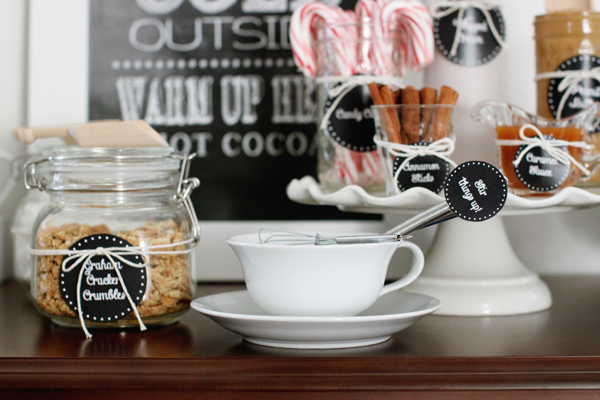 For the chalkboard-style signs and labels, I downloaded a free Baby It’s Cold Outside sign and labels for the mugs and toppings. 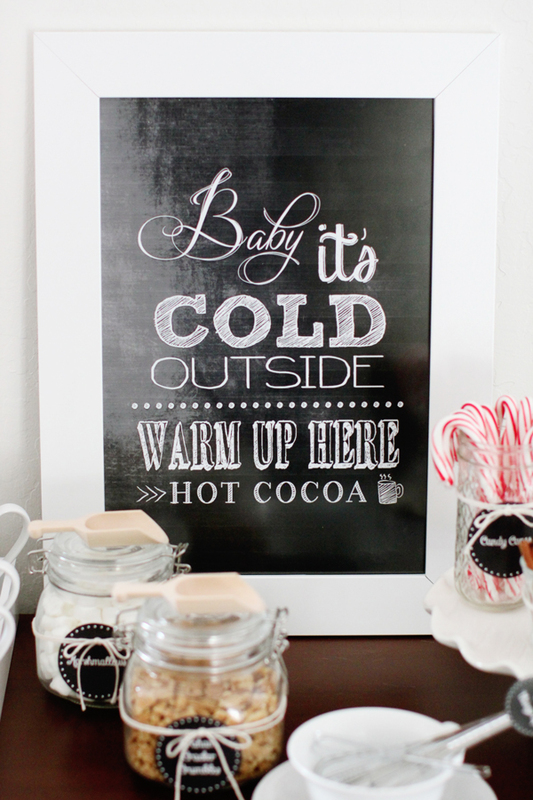 To make the list of cocoa combos, I downloaded a chalkboard background and holiday-ready chalkboard fonts. I then printed everything at OfficeMax for less than $2. 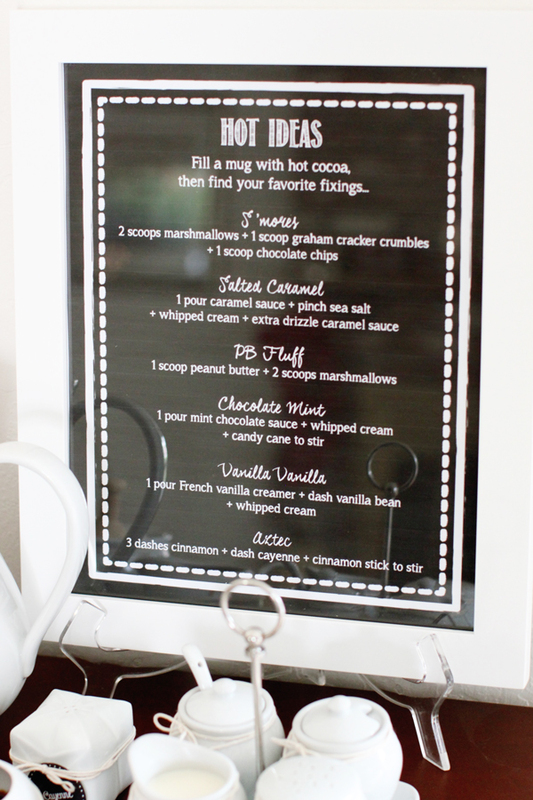 Tip: Print signs to fit frames you already have and temporarily swap out your wedding photos come cocoa time. 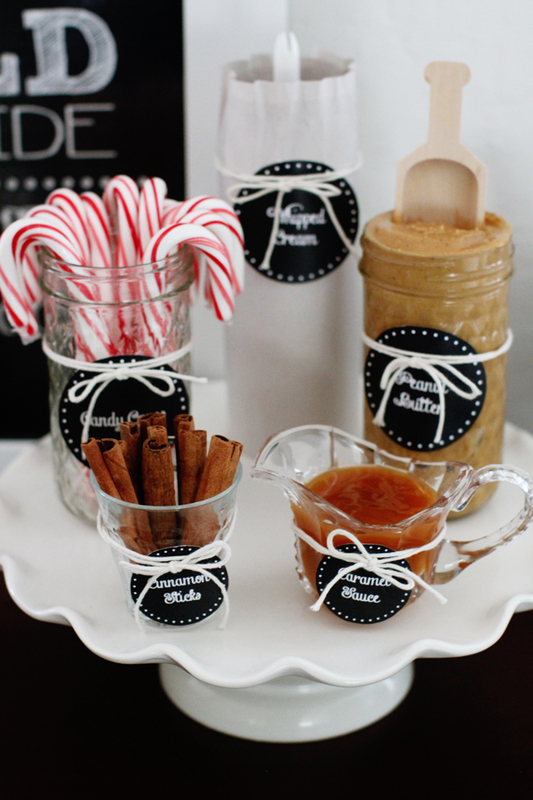 To show off the toppings, I used a mix of glass jars and white serving pieces (I loved putting this little set to use). Tip: Don’t be afraid to repurpose what you’ve got in your cabinets. A cake stand made for the perfect way to elevate some of the toppings, and a tea cup held a handful of stirrers. 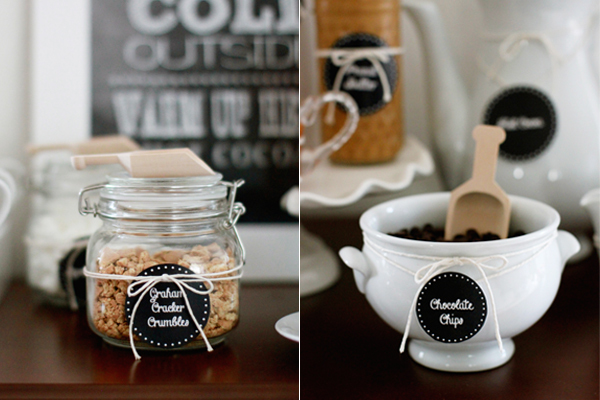 To complete the rustic look, I used twine to tie on the labels and put out wooden scooping spoons. 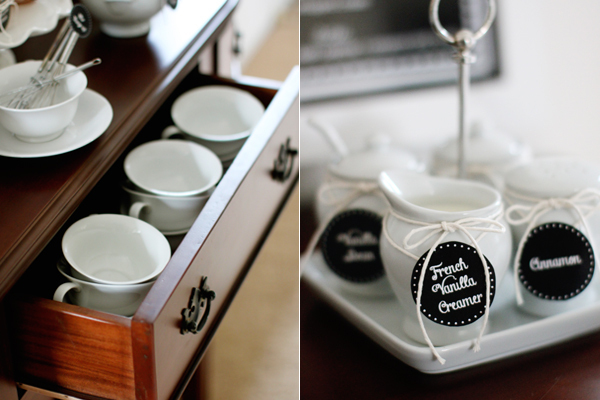 I made use of the buffet’s drawers by filling them with extra tea cups to have nearby. 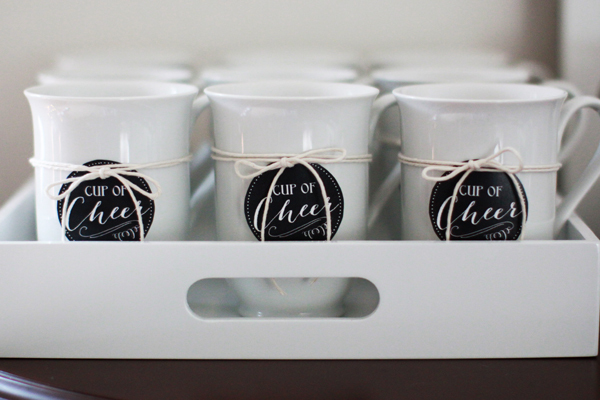 The custom hot cocoa bar made for a fun, creative addition to our Christmas Eve festivities. My dad called it the best hot cocoa he’d ever had in his life, and my brothers invented their own recipes by adding almost every topping to their drinks. 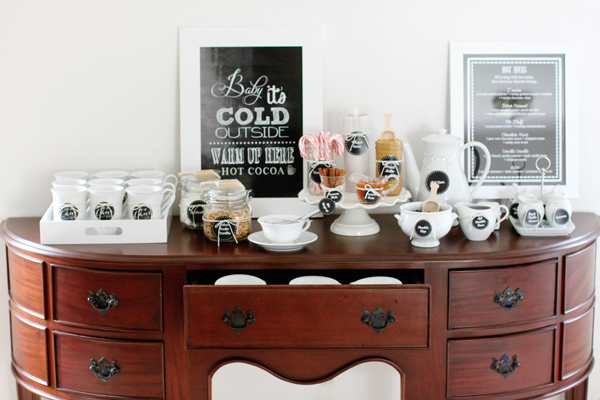 This DIY bar would also be perfect for a New Year’s Eve party (just add some 21-and-up fixings, like Bailey’s Irish Cream and Peppermint Schnapps), a winter wedding or shower, or just to have out as decor—and easy cocoa access—all season. P.S. See what happened last year when we hosted Christmas Eve.